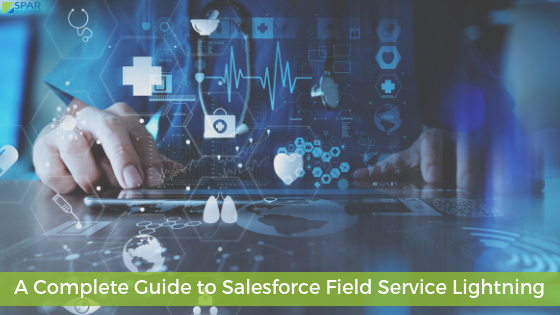 When I first started looking at Salesforce.com I was quickly overwhelmed with the various editions, platforms, logins, clouds, apps and a million other topics surrounding this awesome SaaS platform. Where was I to begin? Well, I’m a developer by trade so I naturally started looking at all the developer related materials and progressed through the numerous workbooks Salesforce.com offers. In hindsight, I would not recommend this approach. It’s good to get a “birds-eye” view of the platform at an Administrator level to really understand the core components of Salesforce.com. The best way to do that is to become a certified Salesforce.com Administrator, so the rest of this article is about how I successfully prepared for and passed the Administrator (201) exam without any instructor lead courses. As I mentioned, navigating Salesforce.com is overwhelming when you are first getting started. There is a sea of information out there and you often wonder what is the best way to ingest all this information. I have found that closely following the Administrator Certification Study Guide, http://certification.salesforce.com/Administrators, is the best way to systematically progress through the material. As you go through each section of the Study Guide make sure you watch the recommended online courses, http://www.salesforce.com/services-training/training_certification/, and then spend some time in your developer environment (you have set one up already, right?) focussing on the material you just covered. The exam tests for deep understanding of these areas; a quick once over isn’t going to cut it if you want to pass on your first attempt. Besides the online training it’s a good idea to reference the built in “Help for this Page” link as you are within the administration (Name -> Setup) section of your organization. These links provide well documented descriptions of the various Salesforce.com components. In addition to the online training which restricts certain videos if you are not a Premier member it’s a good idea to do a search on youtube.com directly. Here is a great video we found on the Salesforce Service Cloud: https://www.youtube.com/watch?v=JS7PPahGZ_M. I went through a few online flashcards and would generally recommend you to take these with a grain of salt. You really don’t know the author and whether the answers are correct or not. Of the three sets of questions I found here is my take on each of them. http://www.flashcardexchange.com/cards/salesforcecom-adm-201-2044630 – These questions were pretty accurate and relevant to the ones I was asked on my certification exam in December 2012. However, there were at least three questions that I believe the answers were incorrect, so be sure to validate each answer. http://www.flashcardexchange.com/cards/salesforce-adm-201-certification-exam-study-guide-december-2011-2017757 – Some of the 220 questions were good, but many of these were way outside the bounds of the Study Guide. I would recommend you avoid this set. http://www.flashcardexchange.com/cards/salesforce-adm-201-practice-exam-nj-2-2021385 – This looks decent, but I was frustrated with the set of 220 questions above that I didn’t progress through this in it’s entirety. My boss and I were preparing for this exam around the same time so a few times a week we got together for an hour or two to discussed what we had progressed through and asked each other questions to help solidify our understandings. This helped to ensure both of us were staying on track with the material outlined in the Study Guide. It’s easy to meander off on tangents within Salesforce.com so be sure to keep yourself and/or study buddy on task.